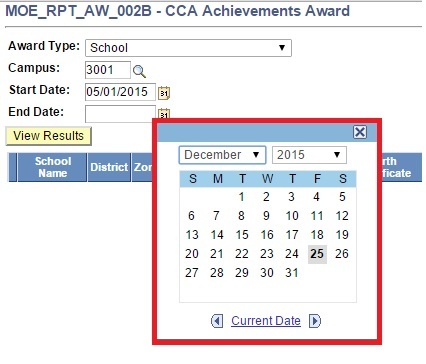 This function allows the users to generate report for list of students identified for CCA achivements awards. 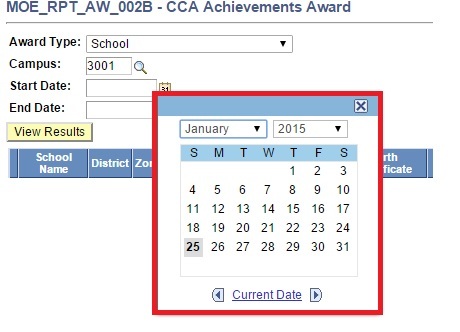 Click on the dropdown list and select the Award Type. 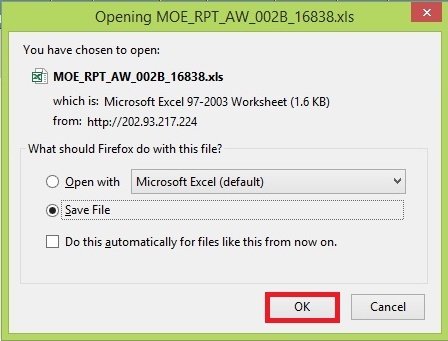 Select Start Date via prompt button. 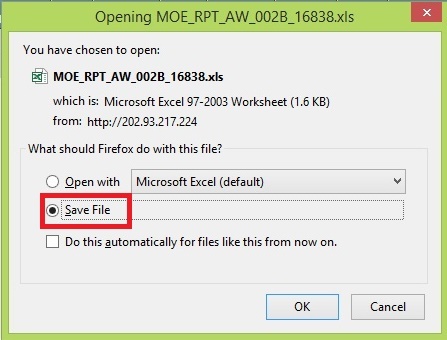 Select End Date via prompt button.